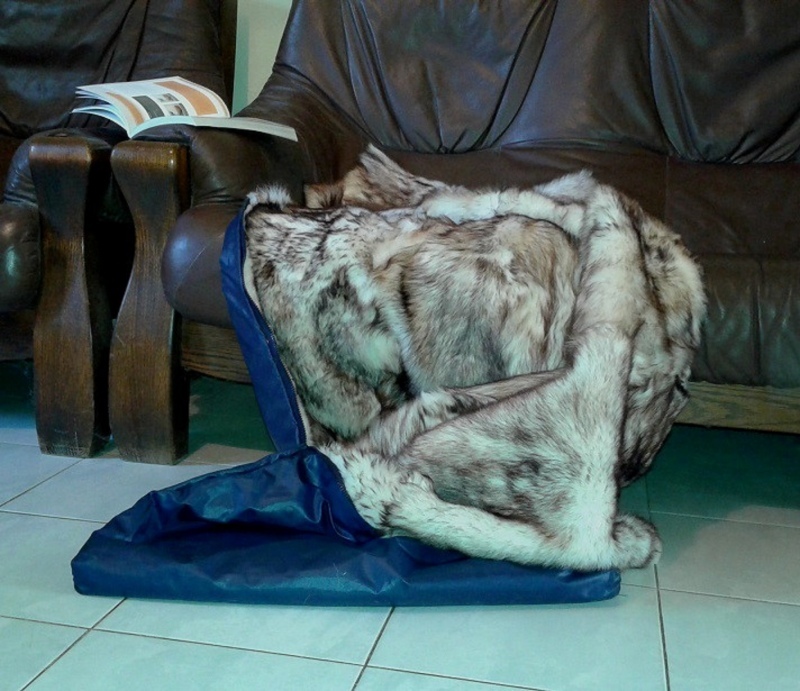 This sleeping bag with outside durable, water-repellent material made of polyester and on the inside cuddly natural fur is a must-have in the cold season for every fur fetishist. The standard sleeping bag is 70-80 cm wide and 2 meters long. You can get the sleeping bag in sheepskin approx. 5 cm length, muskratbelly, muskratback and longhaired nutria in 3 colors(white, natural brown or natural gray). Other furs on request.